After swimming with the whale sharks, we had a barbeque seafood at lunch under the tree. This was the view at lunch. I haven’t blogged in quite some time since we went home for the holidays in December and we were so busy that I couldn’t squeeze in any time to blog at all. We were meeting friends and family. Going to several parties and the beach. The internet could not entice me to spend more than a few minutes online. I guess that’s the mark of a good vacation. We’re finally settled in again. Bags have been unpacked and orders have been filled. I’m so excited for the projects we have lined up for 2014. Stay tuned! This entry was posted in Thoughts and Messages, Travel and tagged cebu, oslob, Whale Shark on January 16, 2014 by Katrina Alana. We got back from Bangkok early yesterday morning and I still haven’t caught up with all the things I need to do this week. I really love going to Thailand. The food is super delicious and you can go crazy shopping to clothes and craft materials. 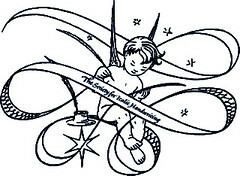 I’ll blog about the trip by the end of the week. This entry was posted in Travel and tagged Bangkok, Thailand on June 20, 2013 by Katrina Alana. Whenever I travel, I’m always at a loss on how to pack my earrings and necklaces. At the end of each trip, I usually manage to loose or leave behind an earring or lock. 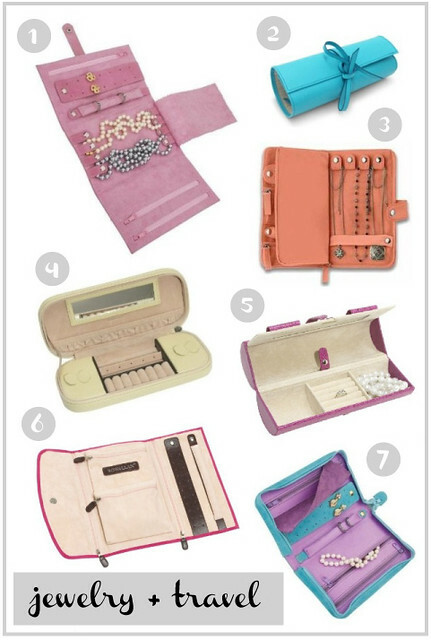 I’ve been coveting a jewelry case to keep my baubles and I thought I’d share a few of the cases that caught my eye. I’m loving the Pisa Travel Case. Which one do you prefer? 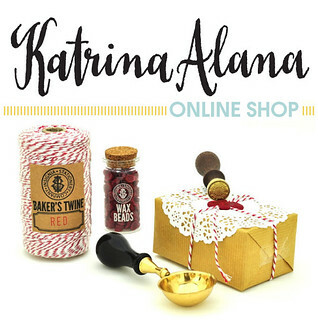 This entry was posted in Products We Like, Travel and tagged case, container, jewelry, organizer, travel on November 7, 2012 by Katrina Alana. 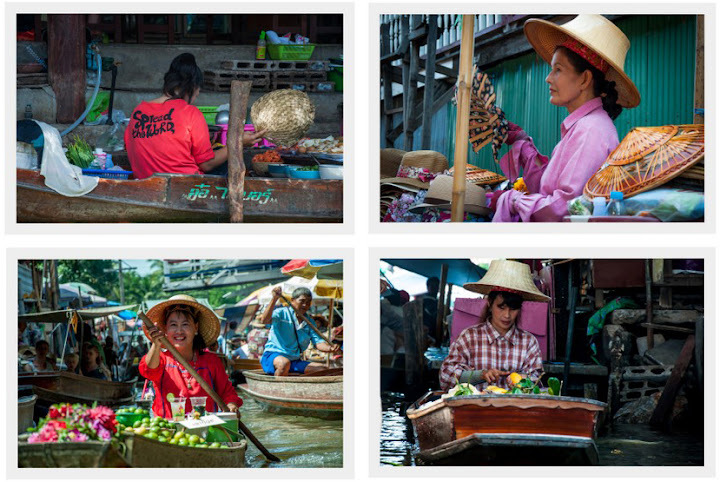 When you think about Thailand one of the famous attractions that come to mind is the floating market. Some scenes of the James Bond film, The Man with a Golden Gun, as well as Bangkok Dangerous, featuring Nicholas Cage was filmed here. 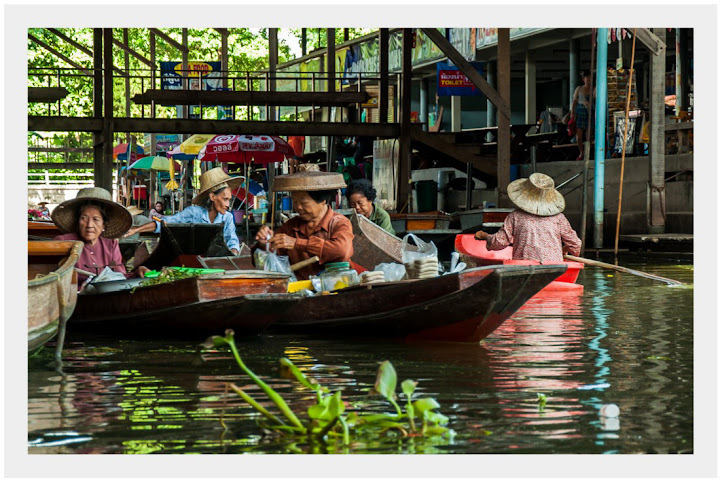 Damnoen Saduak is 109 kilometers from Bangkok and the travel time takes about two hours.We really wanted to visit this place and we arranged a tour with our travel agency. I absolutely hate travelling by car but managed to get through it since this is probably the only time we will go there. We took a van with a travel group, took a boat to the floating market and then took another boat to go around the market for 100 baht per head. You can reach the floating market by car, but I guess the tour guide took us through a more scenic route which we really appreciated. The canal was dug during the reign of King Rama IV to connect the Taachin River in Samutsakorn Province with Maklong River in Samutsongkram Province. 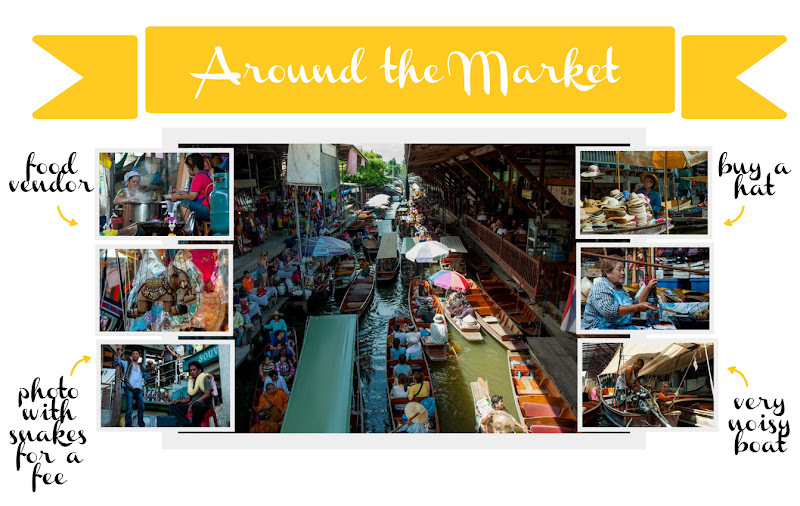 According to our guide, the floating market is mainly a tourist attraction in the morning and it opens as an actual market for the locals later in the day. If you want to buy something make sure to haggle. The prices are over inflated since they expect tourists to try to bargain. We bought a pillow case for 200 baht which was originally priced at 450 baht. Be sure to put on your most charming smile when bargaining. If you walk away the vendors are most likely to offer you a better price. 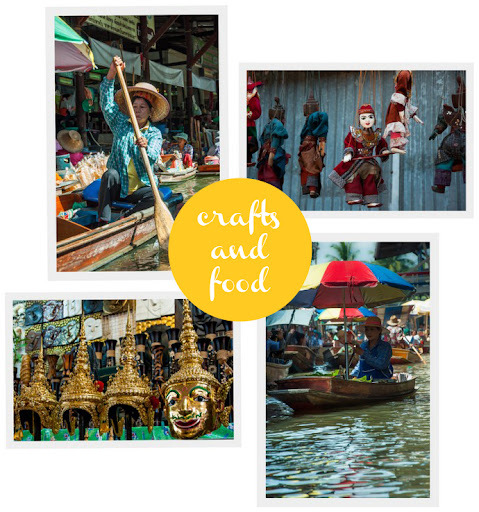 This entry was posted in Photography, Travel and tagged Damnoen, Damnoen Saduak, floating market, guide, Saduak, Thailand, tour, travel, travel guide, travel journal, travel vacation on July 28, 2012 by Katrina Alana. We were really excited about going to the different temples in Thailand. 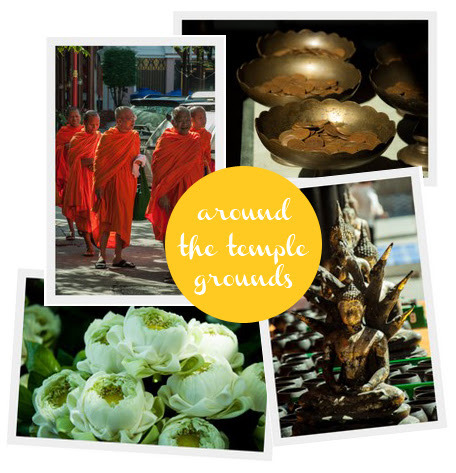 We researched about which temples were the must-see. On our guided tour, we were brought to two temples and a jewellery shop. We were really amazed by the beauty of the temples we saw in the morning but we were awestruck later in the day. After the free tour, we were given free transport to go to the location of our choice so we decided to go to the Grand Palace and Temple of the Emerald Buddha first. If you have the option, don’t bother going to the temple tour arranged by your travel agency or better yet have this removed from your itinerary. Take a taxi to the temple area and go see these temples yourself or else you will be brought to a souvenir shop, jewellery factory and other places where you’re expected to buy stuff and these places will eat up your time. You’ll probably be taken to the free temples only as the major temple attractions do charge an entrance fee. Wat Indrawihan or The Standing Buddha temple was the second temple we visited in the morning. It was built during the reign of King Rama IV to King Rama VII. It stands 32 meters tall and 11 meters wide. Its Topknot contains relics of Buddha donated by the Sri Lankan government. 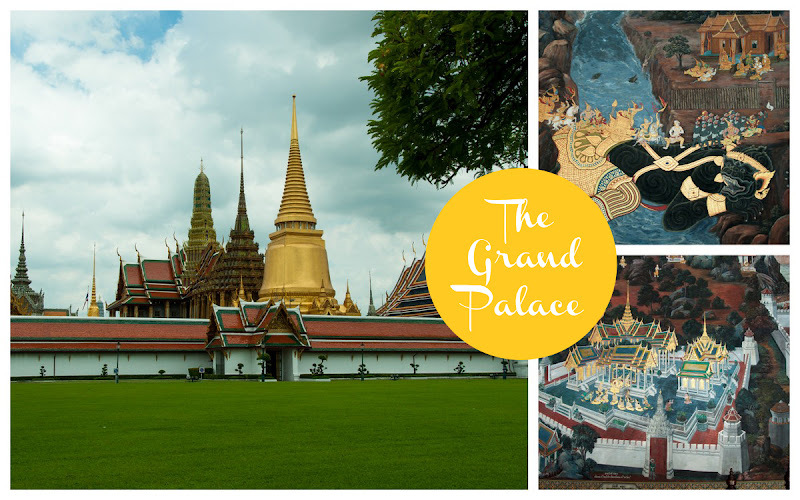 If you had time to visit only one temple, go to the Grand Palace. It’s called grand palace for a reason. The temples are breathtakingly beautiful with intricate details and astounding colours. We just couldn’t help but keep saying “Oooh!” and “Ah!” with each structure we visited in the premises. 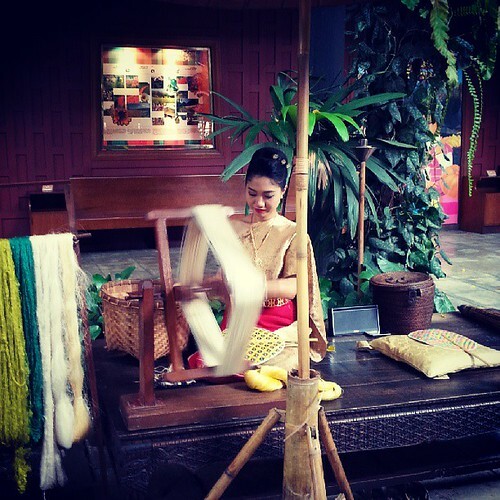 You’ll get a free map and you will be able to visit the Queen’s Textile Museum where you’ll see a bit about Thai fashion and fabrics. Take an audio guide or a guided tour to learn more about each structure, its purpose and history. You will be advised not to take a guided tour and we didn’t since we already read up about the place before going there, but I feel it adds more to the experience getting some information from a local guide. 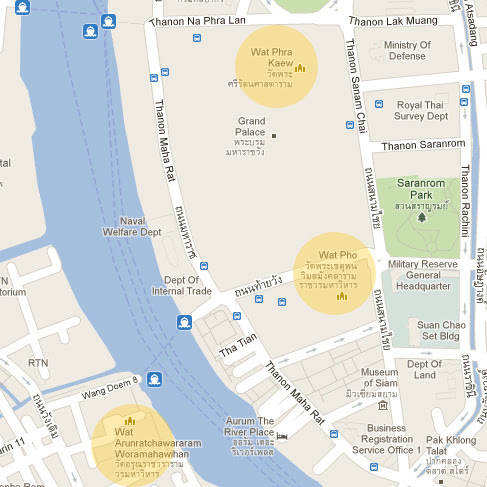 Wat Phra Kaew or the Temple of the Emerald Buddha is located in the Grand Palace grounds. 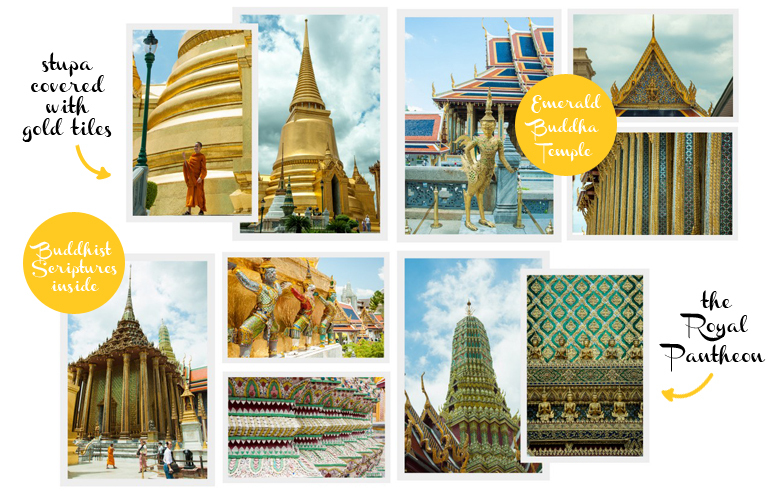 Enshrined in this temple is the Emerald Buddha which was carved from a single block of Jade. 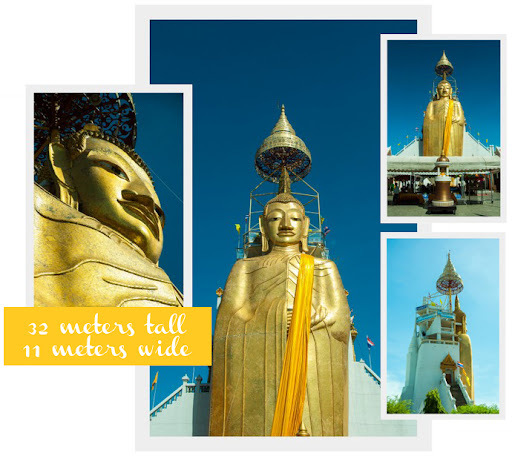 The Gatekeeping Giants or Yaksa Tavarnbal, which stands 5 meters tall, are a sight to behold but my favourite was the Golden Stupa or Phra Si Ratana Ched, which houses the Sacred Buddha Relics. It was built in 1855, and with golden tiles imported from Italy, by King Rama IV. Our tour guide kept discouraging us from visiting Wat Arun because we had to take a ferry to get there. We still decided to go since it’s one of the most scenic spots you’ll see in guide books. The waters are a bit choppy, but it’s nothing an islander can’t handle. The ferry ride itself takes about 3-5 minutes only and you can see the temple from the port. Wat Arun is decorated with Chinese porcelain and some statues. 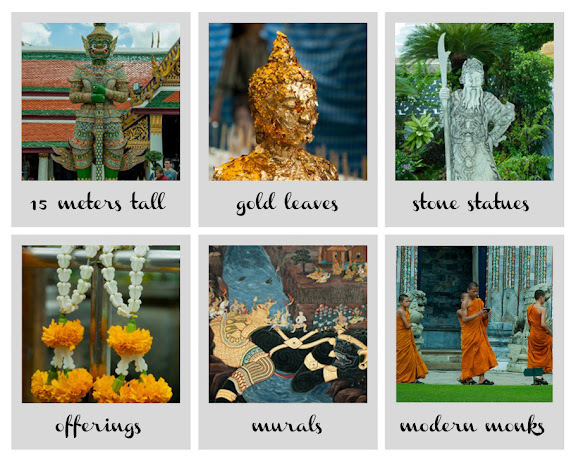 The temple was built during the reign of King Rama II and finished during the reign of King Rama III. It looks like a grey structure from afar but when you get up close you’ll see these lovely murals made out of broken Chinese porcelain pieces. It is a very tall structure and there are stairs you can take to climb up. I’m not acrophobic or anything but when I looked down from the topmost staircase I had to gather my courage to slowly descend. The highest point of tower is 82 meters tall. One of the best spots to take a photo of Wat Arun is from the small plaza, across the river, near the port. 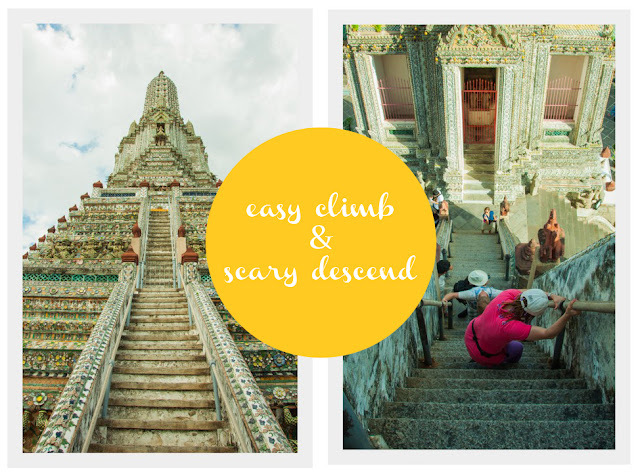 Wat Pho houses the largest reclining Buddha statue, which is 15 meters high and 43 meters long and it is a sight to behold. Wat Pho also houses a Thai massage school which you may want to try. This entry was posted in Photography, Travel and tagged Bangkok, Emerald Buddha, Grand Palace, Standing Buddha, suggestions, temple, Thailand, tour, travel, travel guide, travel journal, travel review, travel vacation, Wat Arun, Wat Indrawihan, Wat Pho, Wat Phra Kaew on July 27, 2012 by Katrina Alana. We went to Cebu a few weeks ago to attend the wedding of our long time friends and we wanted to squeeze a day trip to Oslob to watch the “Butandings” or whale sharks. We drove over 100 kilometers stopping at Carcar to buy their famous roasted pig or lechon at the wet market and buy puso which is rice cooked in these small woven baskets made from coconut leaves. 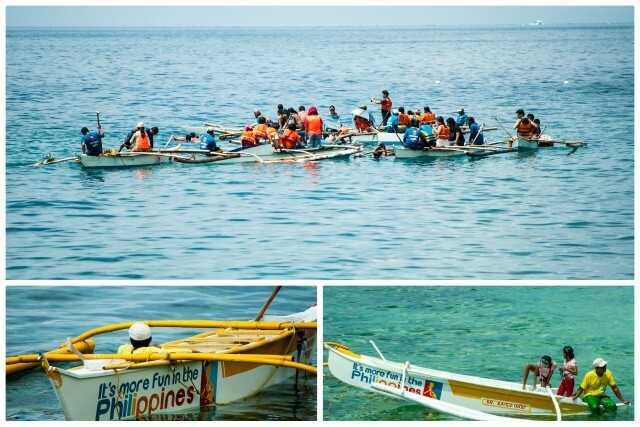 We were so excited to see them but before you could go out to sea in these small boats, you had to go and sit through a short briefing on what are the dos and don’ts of whale shark watching. Stay at least 3 meters away from the head and 5 meters from the tail. Do not swim near their mouths. Apparently these whale sharks have started appearing in the area in the 80’s. Fishermen would feed them and no one really thought that there was something special about these gentle giants. Then a diver came along and he was so awestruck when he swam with these whale sharks and then news started to spread about them. We rode on a small non-motorized banka or wooden boat that was good for 8 people. The two fishermen who were with us had to paddle us to the viewing site. Despite all the care that the fishermen are putting in, some whale sharks get wounded when they bump into boats with their fins and tails. When I first saw a whale shark swim past me I forgot to breathe for while. There were a few of them swimming around that afternoon. I saw one the size of a bus swim a few feet below me. 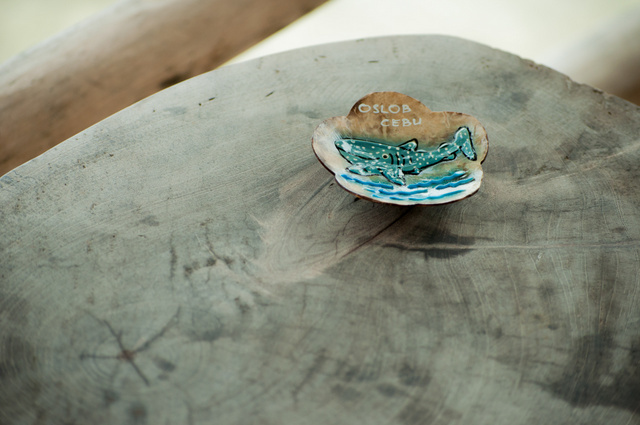 One fisherman would feed the whale sharks with these small shrimp and the paddle near the boats where the tourists were so they could see them. We were asked not to swim away from the boats and hold on to these bamboo outriggers for our own safety since there was a current in the area. The fishermen have grown to love these buntandings and they even have names for them. The one that we saw often was called Kulas. Coming from a third world country, I understand the fishermen who have capitalized on this and made it a tourist attraction. 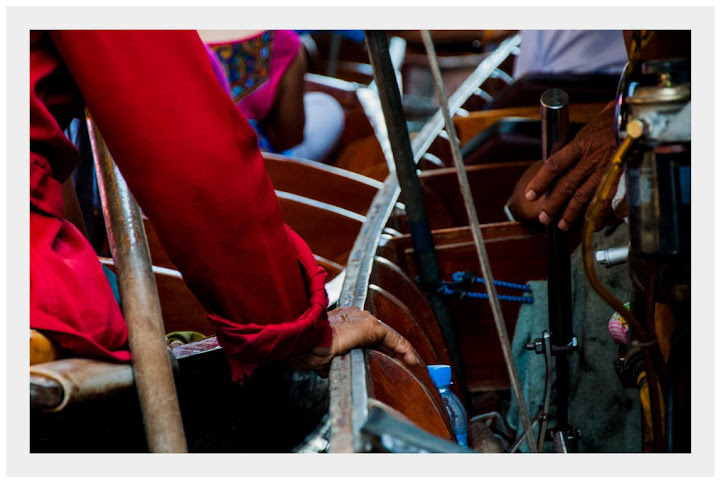 Our seas are not as bountiful as they were before and fishermen are having a hard time making a living. You could hear how grateful and affectionate the fishermen are as they talk about butandings as their friends and saviors. Me, I’m just grateful I had a chance to swim with them just this once. I found this great documentary by Blue Sphere Media which perfectly captures the sentiment of the local fishermen towards these gentle giants. 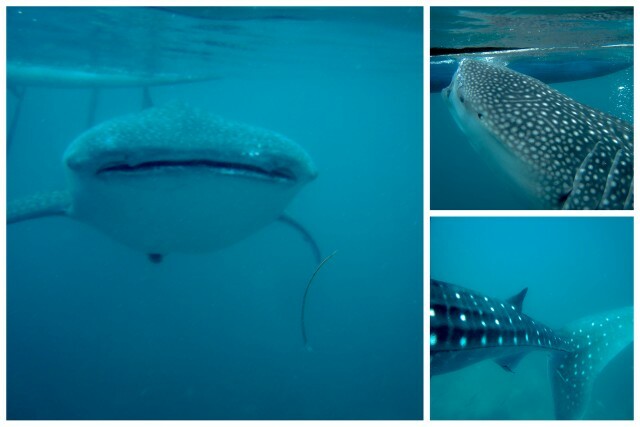 Befriending Giants – Whale Sharks of Oslob from Blue Sphere Media on Vimeo. 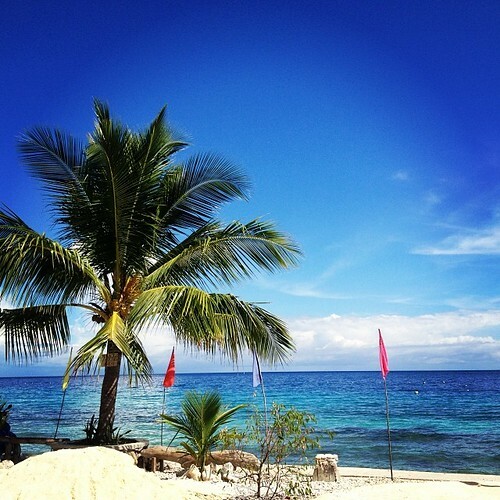 This entry was posted in Photography, Travel, Videos and tagged butandings, butanging, cebu, cost, fees, fisherman, fishermen, oslob, shark, sharks, swim, swimming, travel, travel guide, travel journal, travel review, travel vacation, vacation, whale on July 11, 2012 by Katrina Alana. We came across old negatives of the photo shoot we did at the downtown area of Cebu City a few years ago. We went to the Sto. Niño Church and Magellan’s cross, which is just a few meters from the church. We got the negatives scanned to a CD from the local photo shop. 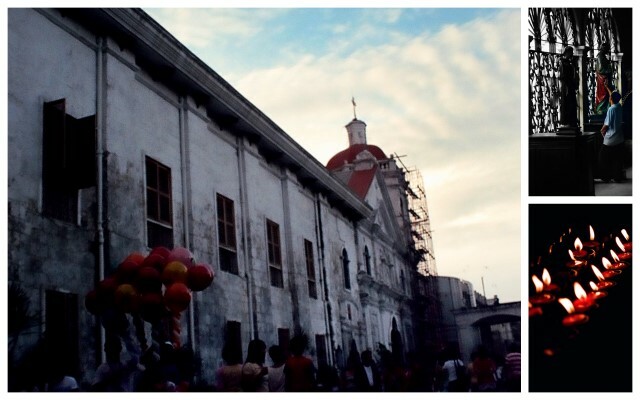 The Basilica Minore del Sto. Niño is one of the oldest churches in the country. Most people come here to pray and pledge. The original structure rarely holds mass since it’s too small to accommodate all the church goers. An outdoor structure was built adjacent to the church where mas is now held. The Sto. Niño Church is one of those solemn places where you can see parishioners praying fervently. Most folks who come here are devotees to the Sto. Niño and this place is packed every Sunday and on the feast day of the Sto. Niño which is every second Sunday of January. The Sinulog Festival is a huge celebration where there is a grand parade, a lot of church related activities and family gatherings. The Magellan’s cross is housed in a chapel next to the Sto. Niño. The original cross is enclosed within another cross to protect it from people trying to chip off a piece to get a souvenir. 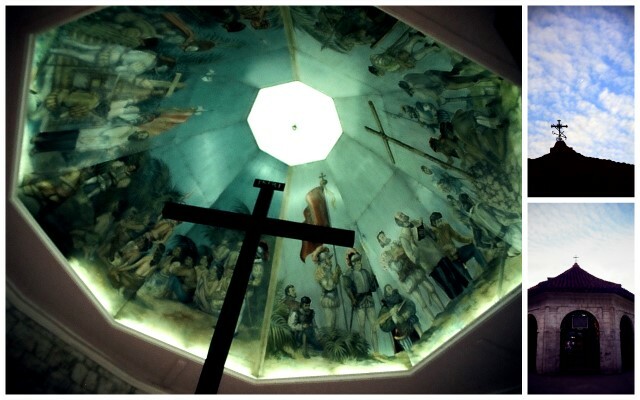 This entry was posted in Photography, Travel and tagged cebu, cross, magellan, magellena's cross, photo, Photography, pictures, sto. nino on December 28, 2011 by Katrina Alana. Most people come to Alexandra Road to shop at Ikea or buy outlet goods at Anchorpoint. The next time you’re in the area, I recommend going to the Alexandra Village Hawker Center. One of my favourite dishes in Singapore is the roasted duck rice served at Lau Phua Chay.The dish looks ordinary but the taste is so delicious. The rice is cooked in broth and the dark sauce heaped on top is sweet and flavourful. They also serve Char Siew which quite popular but not as popular as the duck which runs out at around 7:00 pm. There’s always a queue in this shop everyday so I suggest going during lunch time instead of dinner cause in some instances they do run out of the duck delicacy. 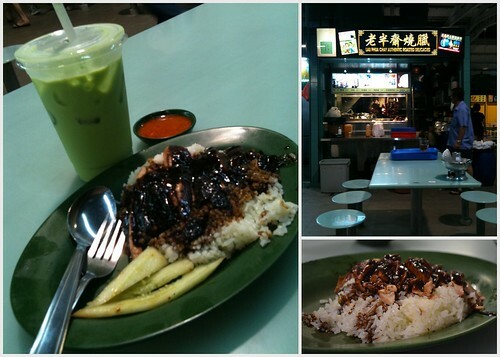 This entry was posted in Food, Interesting Places in Singapore, Travel and tagged alexandra, alexandra food village, roasted duck, roasted duck rice, singapore food on July 1, 2011 by Katrina Alana. 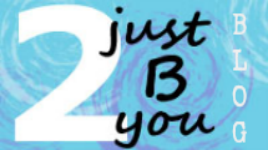 Found this photo at the sunsurfer blog at Tumbler. It’s from the cliffside at Emiia-Romagna, Italy. 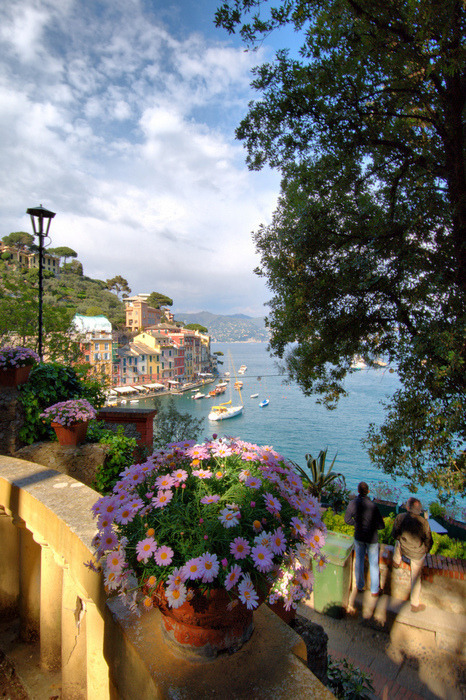 This entry was posted in Travel and tagged cliffside, Emiia-Romagna, italy, sunsurfer, tumbler on July 1, 2011 by Katrina Alana. 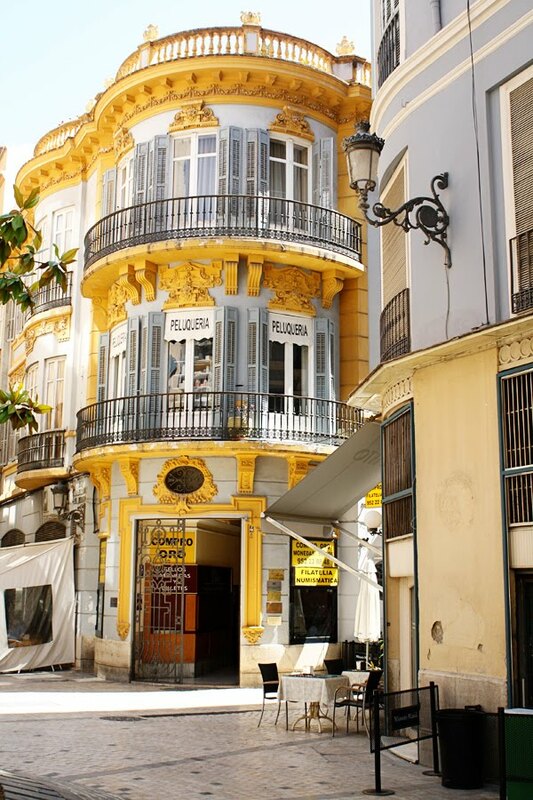 This entry was posted in Travel and tagged spain, travel on June 19, 2011 by Katrina Alana.